Maryland Satin Table Flag 6x9"
Our USA Maryland table flags in size 6x9" are made from heat cut polyester satin fabrics. 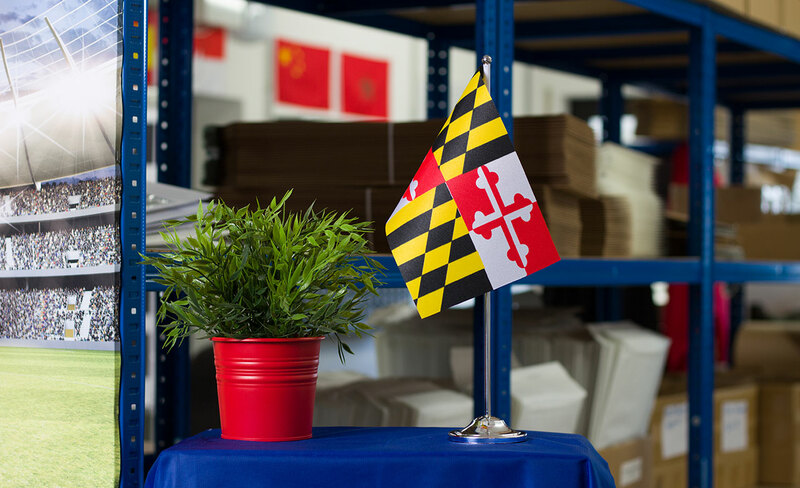 A chrome pole and a chrome-colored base are included in the delivery of the marylander table flag. High colour saturation through silk-screen printing on one side. 75 % of the colour showing through to the other side. 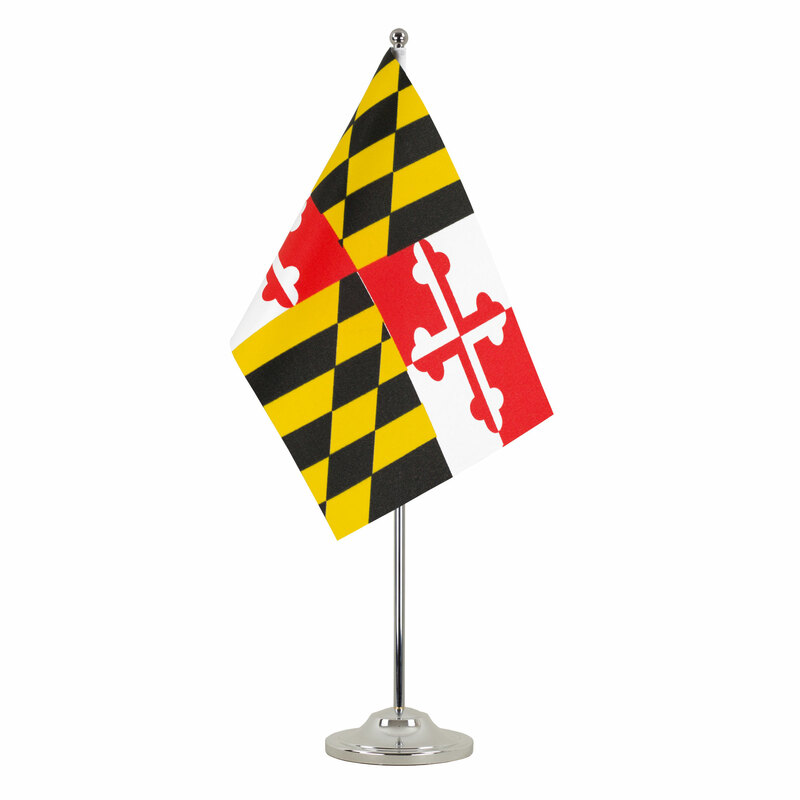 Here you can find all sizes and designs of our Maryland flags for sale. 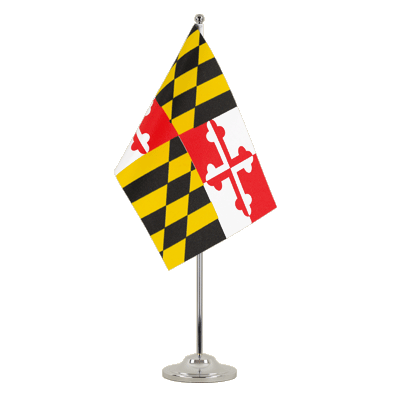 Maryland - Table Flag 4x6"
Chrome-colored base for two satin table flags - 6x9"
Chrome-colored base for three satin table flags - 6x9"